From the My Files page, you can create a secure link to your files/folders. Note: You must be an Owner of a folder in order to create a link to a folder or it's files. 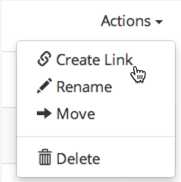 To create a link, select Actions on any folder or file and Create Link. You can create a password for your link by clicking on Options > Add Password. 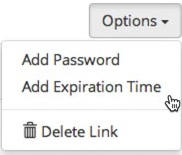 You can also click on Add Expiration Time to specify a duration of time that you want the link to be active. You can then copy/paste this link into a communication channel of your choice (i.e. email, chat, website, etc.) to give other people access to your files. 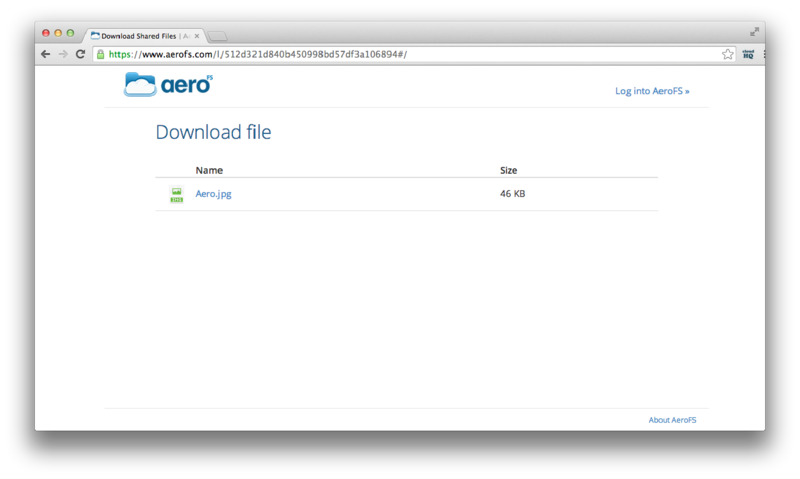 Once you send the link auto-generated by AeroFS to someone, all they have to do is copy/paste the link into a Web browser to access your file/folder that you shared with them. Note: Either a team server or the desktop client belonging to the creator of the link needs to be running in order for the link recipient to be able to access the files associated with the link.